ICWAI Syllabus 2016 For ICWAI Foundation, Inter & Final course: Recently Institute of Cost Accountants of India released notification regarding ICWA syllabus change. According to the notification there are some changes in the ICWAI course. 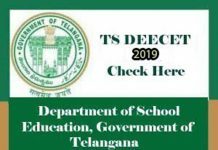 The first examination under new syllabus 2016 will be conducted on December 2016. The last ICWAI exam will be conducted under “ICWAI Syllabus 2012” will be conducted on June 2017. The name of the ICWAI inter is changed to ICWAI Executive course or CMA Executive Course. The name of ICWAI Final is changed into ICWAI professional course or CMA Professional course. Also see CMA Course Details. Also see- ICWAI Study Materials For Foundation, Inter & Final. No. CMA (3)/2015 – In pursuance of sub-regulation (b) of Regulation 20B and Regulation 31 of the Cost and Works Accountants Regulations, 1959, It is hereby notified that in exercise of powers conferred by clause (a) of sub-section (2) of Section 15 of the Cost and Works Accountants Act, 1959, the Council of the Institute of Cost Accountants of India at its 293rd Meeting held on 20-5-2015 has approved the “New ICWAI Syllabus 2016” for introduction with effective from 1st February, 2016 as annexed in Annexure 1. Students admitted to the Courses of the Institute with effective from 1st February, 2016 shall pursue Courses under “New ICWA Syllabus 2016”. See the subjects and weightage according to ICWAI Foundation course syllabus 2016 and more details in our post about Complete Details of ICWAI Foundation syllabus 2016. 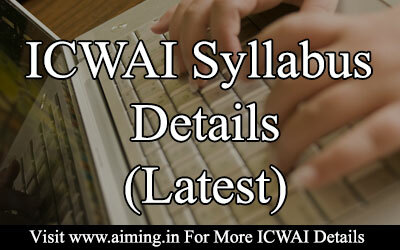 You can get the download link of ICWAI Foundation syllabus pdf from ICWAI portal in that post. Below are the subjects according to new ICWAI Foundation syllabus 2016. 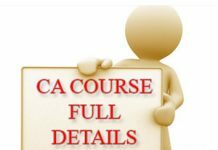 See the subjects and weightage of CMA executive course according to ICWAI syllabus intermediate 2016 and more details in our post about Complete Details of ICWAI Intermediate syllabus 2016. You can get the download link of ICWAI syllabus 2016 pdf for CMA Executive Course from ICWAI portal in that post. Below are the subjects according to new ICWAI Inter syllabus 2016 (CMA Executive syllabus 2016). Also See Subject Weightages According to New ICWAI Inter Syllabus. See the subjects and weightage according to ICWAI Final course syllabus 2016 and more details in our post about Complete Details of ICWAI Final syllabus 2016. 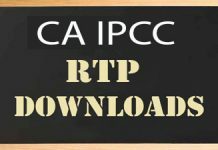 You can get the download link of ICWAI syllabus 2016 pdf for CMA professional course from ICWAI portal in that post. Below are the subjects according to new ICWAI Final syllabus 2016 (CMA Professional syllabus 2016). Also See Subject Weightages According to New ICWAI Final Syllabus. I’m graduate from Commerce background can I apply for I.c.w.a? i m complete my graduation in BCA, can I apply in i c w a. This who completed B.com with minim 50% can get an entry in inter. If not then starts from the foundation. Not an easy course almost equal to C.A. course. I have completed my B.Sc., Maths. Shall I start doing ICWA? Could I able to complete it? I m a old student of cwai. I was passed the foundation exam in dec-11. And i was give the exam of intermediate in dec-12 as per syllabus of 2008. I have an exemption in accounts. Now i have to complete my course. So what is the procedure. I have completed my graduation in commerce 24 years ago and did my 3 years of CA articles hip. But I haven’t completed the course then. I was always interested in ICWAI. But I have been a housewife since then, I am afraid that I could have forgotten the basics in accounts. Are there classes through which I can strengthen my basics before enrolling myself for this program! Pl enlighten me. Tnx in advance. I have passed the ICWAI intermediate in 2002. I can’t completed final that time due to some family reasons . Now I wants to comlplete it. What proceures I have to follow. Please suggests. What is the minimum percentage to get to intermediate ???? Hello sir, Can I do icwa in Hindi medium? can i attend single module wise exam? HI, this is Shama.. i am working as costing Engineer, Is this Course useful for my career growth? can i directly apply to Intermediate Course. ?